Photos must be sent via postal service or e-mail! Ads will not be taken over the phone. Motor Scooter, Airborne, Parachute Pack that snaps to the two D-Rings & Ties to the seat. Complete with Static Line and slider buckle. Ready to display with your Airborne Scooter; $350 + $20 postage; WW2 M3A4 Airborne Handcart w/ drawbar as used with the M53 Cushman Airborne Scooter. $2450 plus UPS Shipping. PayPal or however you want to pay. Further details upon request. Combat and radio jeep: combat rims, rifle rack, machine gun mount, \wireless set No 19 MK II, plus many radio and standard accessories. 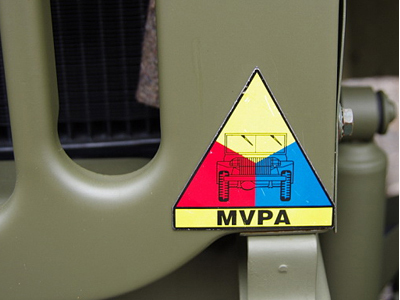 Led the MVPA 2009 Convention convoy. Runs well, no repairs needed, new Firestone military tires. Complete restoration file. Ready to roll; $19,850. Show ready, complete body-off restoration, new canvas, seats and tires; $21,500. For Sale – ¼-ton Vehicles RESTORING YOUR JEEP? We are the largest supplier of NOS and High Quality Parts for MB, GPW, M38, M38A1, CJ2A, CJ3A and CJ5. Visit our website where we list a complete catalog of all parts that are available at: www.debellajeepparts.com. Summer top canvas with rear window, top bow assembly and rod set; $825. CJ/DJ/YJ/TJ and military. Specializing in mid-year CJs. NOS and reproduction parts. For Sale – ¼-ton Vehicles FREE PARTS LIST! Ron Fitzpatrick Jeep Parts is committed to providing you the best parts for your jeeps. 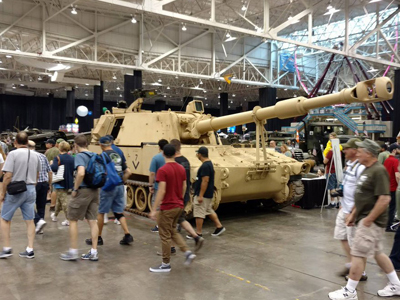 All of our parts are NOS or quality reproductions for the MB/GPW, M38/M38A1, and CJ2A/3A. Call for a FREE catalog. NOS main wiring harness A5048, flexible, stored in sealed bag. Collector condition; $395. Complete mechanical restoration in 2003. Uncut, titled, registered and includes extra parts. Gasoline heater, summer top, artic kit, deep water fording kit, parade ready! Excellent body condition, low mileage, starts and runs well. Call for info; $11,500. Partial restoration, title, original body, canvas top, side curtains, doors and new tires; $11,500. Partial restoration, title, original body and top bows; $13,000. Partial restoration, title, original body, no rust, top bows, complete brake system (new); $12,500. Original ground-up restoration, clean Ohio title and M38 PTO engine and carrier bearing. SN 10271, SatNov24, engine 10229, Body 257, runs, complete restoration needed. Have new repro body kit, most parts. Runs great, all parts available accept one windshield, good rubber; $5,195. T98Z for parts, good case, first and reverse gears damaged, rest is good. 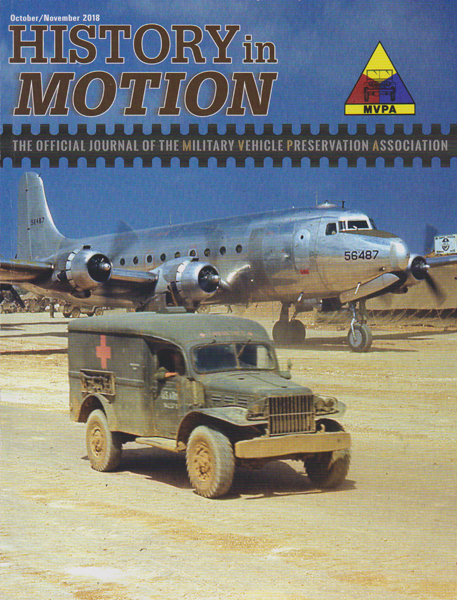 1951 Plymouth Cranbrook project for a military jeep, M37 power wagon or military am-bulance project. Top bow set for ¾-Dodge command car, used original. Ambulance, 6 cylinder, 24V, 10 KMI, no rust; $4,500 OBO. Well maintained, runs very good. Comes with Replica 50 cal gun on original gun mount. 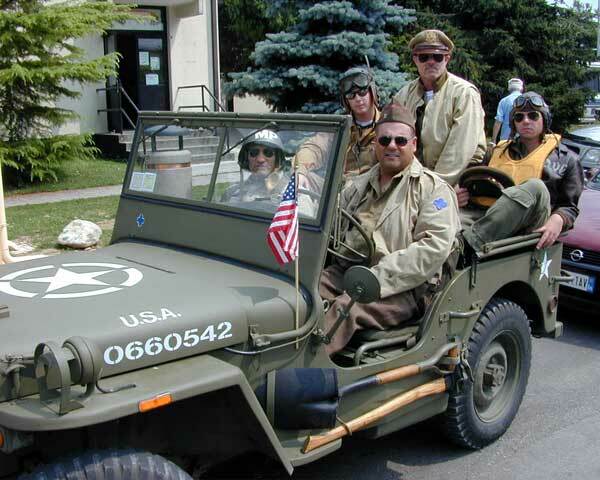 Was used for parades and displayed at an air museum. Very nicely rebuilt, and current-ly tagged in New Jersey. Been stored indoors for the past 25 years; $22,000. Wrecker, runs good, crane and winches work, fresh paint, clean truck, trades possible; $9,000. For Sale – call me! Airborne dozer, unrestored, complete; $10,500. M-3 37mm dewat antitank gun, com-plete; $23,500. 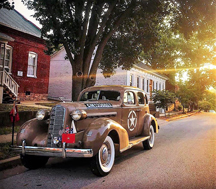 1940 White civilian armored car. Takes six man crew; $25,000. 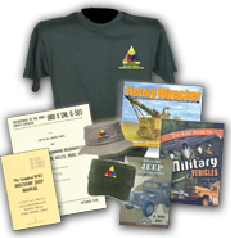 1941 Restored German artillery caisson; $8,750. 1890 37mm revolving cannon, restored, $105,000. Clean frame, fenders, hubs, misc. parts. No title; first $275. Complete restoration, sandblasted, many NOS parts, new tires and canvas $4,000. M274 Mule, 4WD, 4WS, electric start; $7,500. M35 2½-ton 6x6; $5,000. CKKW Tanker; $10,000 OBO. Chrysler Corporation #VRY44202A 12U002994, 6V 24 amp positive ground regulator. Used on Dodge WC series. Soda blasted inside and out. New cork gasket; $250 cash. .30 caliber; a beautiful Brand New piece. Every part is machined from steel, with parkerized finish, test fired and ready to go. Includes ammo can bracket with can. Manufactured by HOOSIER HOT-SHOT; $1,745 FIRM. AN/VRC-10, transceiver, power supply, RT-70, AM-65, PRC-25, AM-2060, power sup-ply, R-442 receiver mounts, cables, antennas, connectors, handsets, headset, mics. M31; $349. M4; $695 (for M151 jeep). Excellent condition. M31C travel bar; $119. With attachment bars, screws, two mirrors each side, round, square; $40 a set. Four, war-time, useable; one post-war, Norwegian, ND, on CMP wheel, all; $300. Combat wheels, 9:00 x 16, bolt on rims with rare metal run-flat inserts; $150 each. Looking for sidecar mount for M634 for a replica German BMW. Please leave Message. Kit or parts for VSC-2 installation in M151. Especially installation kit MK-1370, MK-3140. For 1944 Type 82 Kubelwagen. Need restored or unrestored with all tin. Good used set of ten (10) 8:25 x 20 square shoulder tires for M-5H6 restoration.